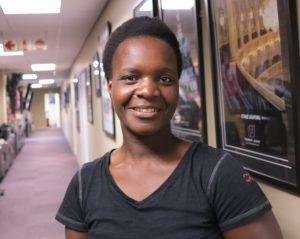 The ever smiling Beatrice Moyo is a housekeeper at DWR Distribution. She initially started working on a part-time basis on the 1st September 2014 and as the company grew, Beatrice was officially employed on 1 November 2015. While this humble lady is quiet, kind and very respectful of each person she works with, Beatrice loves a joke and you can often hear her laughing. In her spare time, she likes watching TV soapies and enjoys singing.